Though you have used appealing visuals to arrest the potential buyers’ attention, still it is the textual content that occupies the lion’s share of your catalog. The text complements the visual. Given such immense importance of texts, scrupulous care must be adopted while choosing the typefaces for your catalog; after all, a catalog is an effective medium of promoting and publicizing your products. Often the newbie in the field of business make the major mistakes of pouring their attention only towards creating the appealing visual effect while the aspect of formatting is neglected. But the gross formatting errors make the catalogs look very unprofessional and mar the sole objective of catalog printing. 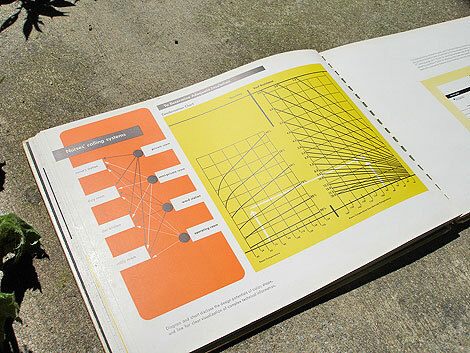 The text of the catalog provides an overview of your venture. It makes the potential customers know as to the range of your products, price tags and also any rebate on the gross sale on offer. If the targeted customers are repelled by the looks of the fonts and clumsy arrangement of the texts, your marketing campaign will bear no fruit to boost the growth of your business. In addition to using the eye-catching fonts to capture attention, the graphic designers should concentrate on the other two basic aspects – 1. Readability of the font and 2. Conveying the right message to the potential customers. These two features are not only imperative to make the catalogs look attractive to the consumers but present the transparency of your business to have trust from the public. Whatever trendy font style you use in your catalog, they offer enough readability to the customers. Readability of the fonts is a feature that attributes immensely to the fulfillment of the business objectives of making awareness among the customers about the products on sale. If this feature is not taken good care of, the message will get lost in the crowd of the images and unattractive contents. The second feature is associated with the precise information regarding the easy availability of the products and the reasonable charges. The detailing is to be done in such a way not to make the readers get bored easily. The information must touch upon the necessary points yet should be short and snappy. The major points should be highlighted in order to divert the attention of the buyers. The strong cooperation between the designers and printers will make it possible to produce an effective outcome to merchandise your products. 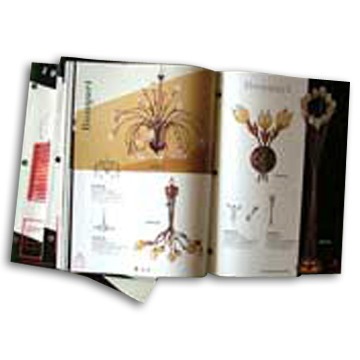 A catalog is an effective tool for a merchandiser to showcase his products to the potential customers. It is a non-verbal marketing medium that allows the buyers to be familiar with the gallery of the available products and services even without visiting the shop. As the sales promotional device, a catalog must ooze out an aesthetic and innovative style. But any major mistake in printing may prove to be a fly in the ointment and foil objective of driving the sales and making profit. Luckily, there are a few easy but effective steps to avert any sort of mistake, be it the major or minor one and to ensure a worry-free state for the business owners. Even though one may find a lot of appealing visuals in the catalogs, it is the textual content that fills up the major part of the printed ad tool. So, proof reading is vital to rectify any glaring error such as misspelling or typographical mistakes. Even the insignificant mistakes will not evade the eyes of an experienced proof reader. The color images of the products and the color schemes of the fonts titillate the sense of the buyers and prod them to purchase the products on offer. Therefore, these aspects demand special and specific attention. The wrong placement or the sizes or the bleary appearances of the images may have a strong negative impact upon the customers and they will not feel the drive to purchase the products. Take meticulous care while reading the proof and pay attention even to the small to smaller details. File format is of immense importance while designing the catalogs. A catalog should be designed in such a way to provide enough readability to the printing company. High resolution is a necessity to avoid errors while getting the catalogs printed. There is hardly any alternative to checking and rechecking for printing an error-free catalog. Identifying the significant errors at the final stage simply means going for reprinting and this only adds to your budget. You are currently browsing the Excaliber Printing Blog blog archives for August, 2010.